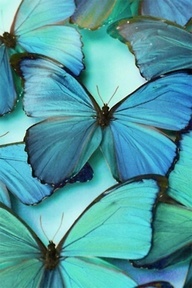 Turquoise color family variations: Aqua is creative, light-hearted, yet strong and individual; Aquamarine balances the mind and the emotions; Teal promotes spiritual advancement and commitment; Turquoise radiates the tranquility of blue, the balance and growth of green with the uplifting energy of yellow. Turquoise color family is also associated with: refreshing, feminine, calming, sophisticated, energy, wisdom, serenity, wholeness, creativity, emotional balance, good luck, spiritual grounding, friendship, love, joy, tranquility, patience, intuition, and loyalty. However, too much Turquoise can cause one to become over analytical, fussy, and egocentric, allowing one to let logic guide decision-making. Too little Turquoise can cause one to become secretive, closed off, confused, sneaky, and even paranoid. Pink has an immense soothing effect on the physical, mental, and spiritual body. It is known to be the universal color of healing and unconditional love. Pink heals grief and sadness. It is known to suppress aggression. The sedating and muscle relaxing effects of pink has been tested in geriatrics, prison reform, adolescent and family therapy. 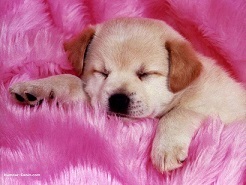 Pink encourages one to be kind, gentle, compassionate, and approachable. 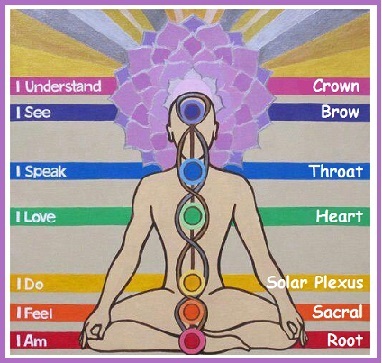 The Crown Chakra is associated with the color Violet which is a blend of red (matter) and blue (spirit). Violet has the shortest wavelength and the highest vibration of all the colors of the visible spectrum of light. The calming color of Violet slows down nervous energy, which then helps slow down the nervous system. It enhances artistic talent and creativity. 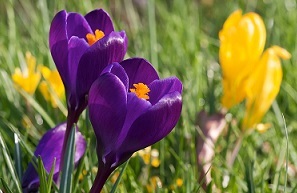 Violet can be used to raise low self-esteem, stimulate dream activity, clarify our thinking, and help us connect to our higher spiritual self. People with balanced Violet energy have all their chakras spinning smoothly with the energy flowing freely in their body from bottom to top. They radiate health, peace, harmony, and effortless energy. Green color therapy is a good general healing color. 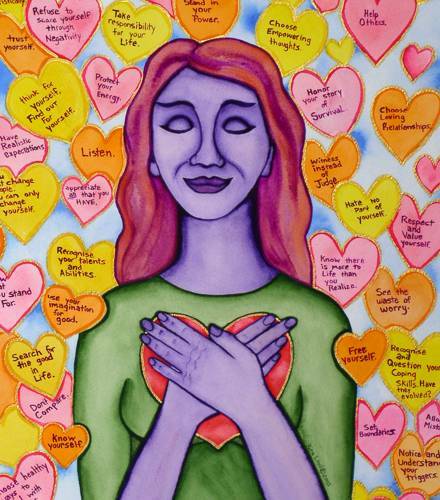 The Heart Chakra is stimulated by the color green and this color helps with issues of the heart. Green helps bring harmony, balance, and possesses a soothing influence on both mind and body. Because Green is a combination of both yellow and blue, this energy brings growth, compassion, unconditional love, openness, forgiveness, acceptance and contentment. 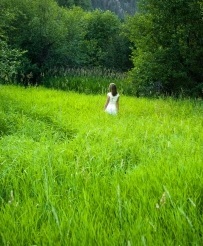 Love it: People who associate themselves with green often show a keen interest in nature, fellowmen, health and healing. They tend to dislike conflicts. They are drawn to peace, rest, hope, comfort, and calmness. Hate it: A person with an aversion to green may be more interested in independence and self-development than in a warm family-life. They may prefer to keep a certain distance in relationships.